With all the competition out there, you need to get creative with your business if you really want to make an impact. Gamification can be your business’s secret weapon, the creative possibilities are endless – and fun! Gamification is a marketing trend that isn't going away anytime soon! 1. the application of typical elements of game playing to other areas of activity, to encourage engagement with a product or service. Everyone wants to be a winner! Competing to win is a natural human urge that we're all familiar with, and one that impacts us almost every day. So why not appeal to that competitive nature and pop a little slice (or a huge wedge) of it into your marketing? By using gamification you can make your marketing more fun, competitive, challenging and engaging. 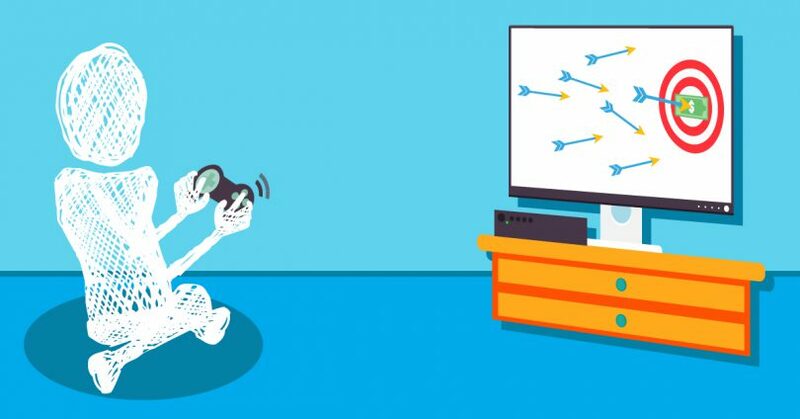 The ultimate goal is to create a gamified marketing campaign that creates a deeper connection with your audience, leading to lasting long-term relationships. Certification is a form of gamification where your users only have themselves to compete against. This might sound a bit too easy. But, we all know that challenging yourself is sometimes the best type of challenge! 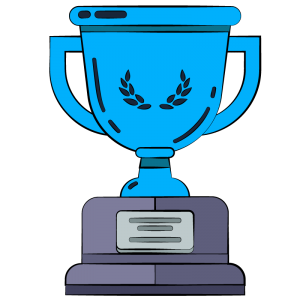 Let's say you have an online coaching programme and for each stage that a user completes they get a virtual award or prize – this is certification. It can be an amazing way to encourage people to complete a programme and upgrade services. Certification also works wonders for customer retention and loyalty. Jackpot! If you're going to reward your customers for using your products and services, who wouldn't want to stick with you?! 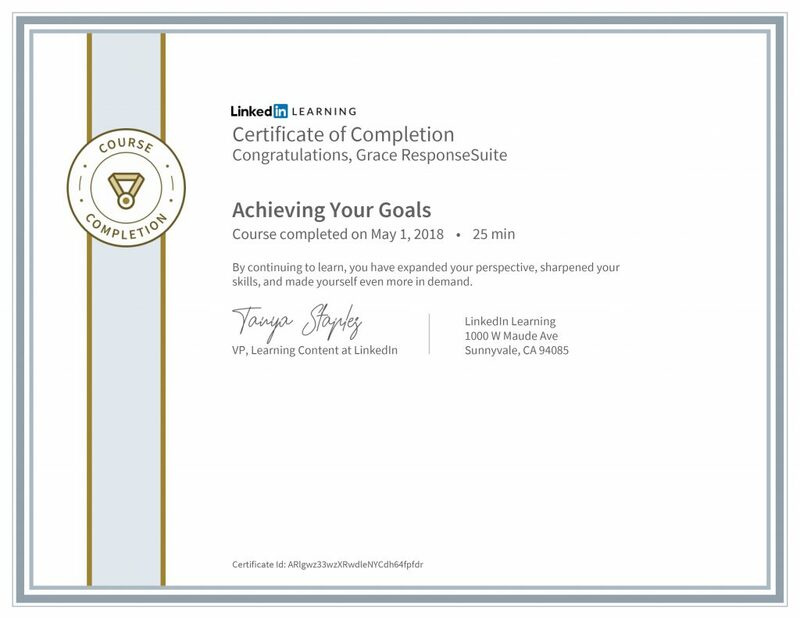 A top example from the education/coaching walk of life is how LinkedIn Learning rewards users for completing courses. We're using the ‘Achieving Your Goals' course from the brilliant Dave Crenshaw in this example. 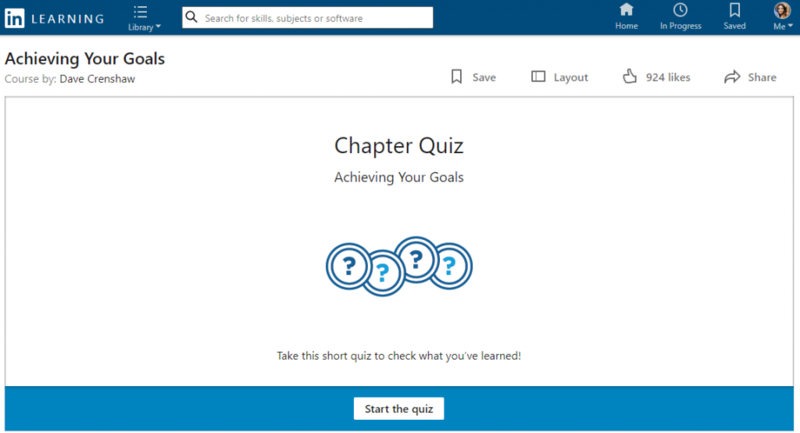 Throughout each course, you get the opportunity to complete ‘chapter quizzes'. Not only does this test your learning but also provides a feeling of accomplishment, like ‘yep, nailed it’! You can share it on social channels to let others know. Or add it straight to your LinkedIn profile as a new skill. You can even download a certificate for yourself. If you choose to download your certificate (I mean, who wouldn't? ), you're presented with a pretty fancy looking PDF ready to hang on your wall. Ok, so you might not actually want to hang it on your wall, but it's still a very nice touch! With this style of certification, you not only get a sense of pride but also a drive to collect as many certificates as you can. It's an incredibly effective way of getting more people coming back again and again – and paying monthly! Competition is one we're all familiar with, competing against others to win that top spot. People love getting involved in competitions, they're almost irresistible. Not only does it allow you to improve your skills and get better at something, you also get to show off a bit and maybe even beat other people! Competition in marketing can massively boost engagement and brand exposure. If there's a leaderboard to climb, a prize to win or just a winner status to grab then people won't just take part, they'll want to share it around too. 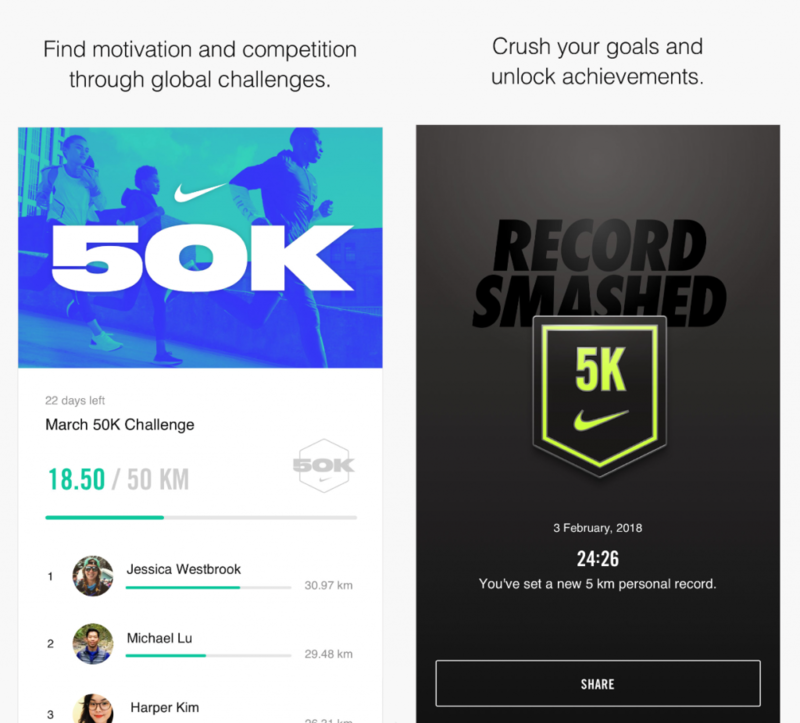 Nike have been at the top of the gamification leaderboard for a while now and the Nike+ Run Club app is a fantastic example! Unless you live on the beach or in a national park, going for a run can get pretty boring. The Nike+ Run Club app actually makes running more fun by introducing a bit of friendly competition. You can take part in weekly and monthly distance challenges against people from all around the world. You can even add your friends and start a distance leaderboard! As if that wasn't enough, the app also adds a nice touch of certification. You can set yourself goals to blast and unlock achievements. Talk about the best of both worlds! Keep it simple - If things get too complicated people just won't want to get involved! Plan, plan then plan some more - Careful planning and thinking ahead is crucial. Use referral incentives - This will help get the word out and also expose you to new leads. Pinch those pennies - Try to stay away from financial rewards if you want to see TRUE engagement. Go social - If you share your campaign on social media it's a great way to get people hooked. If you're looking for a starting point, we would highly recommend using UpViral. 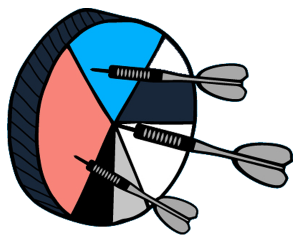 UpViral lets you easily run contests, giveaways and sweepstakes all from one campaign dashboard. It really couldn't be easier! Great post, I had heard about gamification but I didn’t really know what it was, you article was very informative!